Lady Goats: Trip or Dip? 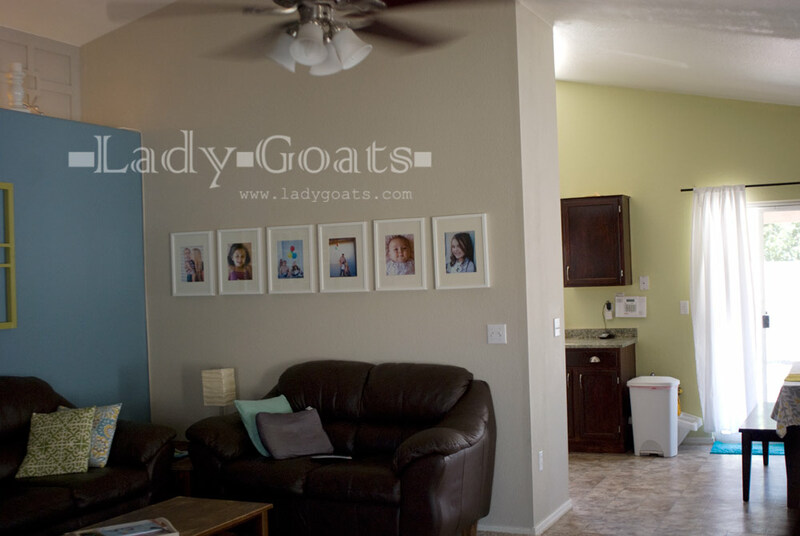 One of my biggest concerns is that, if I hang art there, it has to "work" with the gallery photos on the wall behind the love seat. Naturally, I ran around the house trying to find something to give me a visual of what does or doesn't work. Cue in some old canvases I had stashed away from when everyone was in their burgundy decorating phase. 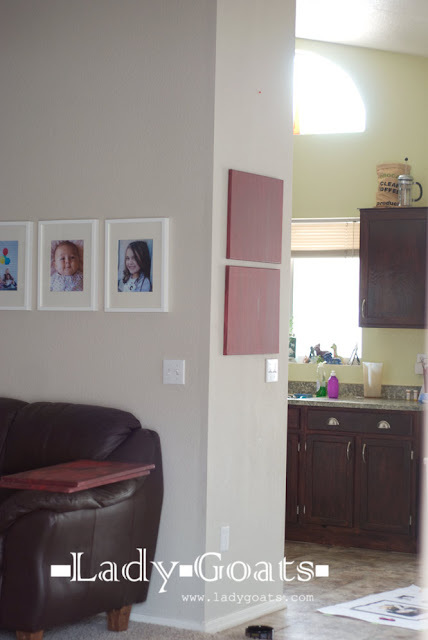 These are some 16x20 canvases that I painted burgundy, and let the then-two-year-old-big-kid take a paintbrush to two of them. I wasn't sure that I liked them going 3-high on the wall (probably because I've been so used to there not being anything there for so long! ), so I took the top one down to see how it looked. As less invasive as it is to have the two, they just don't fill up the space well. I thought about moving the canvases right next to each other to create a solid 20x48, but then realized that I was putting too many tack marks into the wall, and decided against it (because we know laziness couldn't have been a factor). 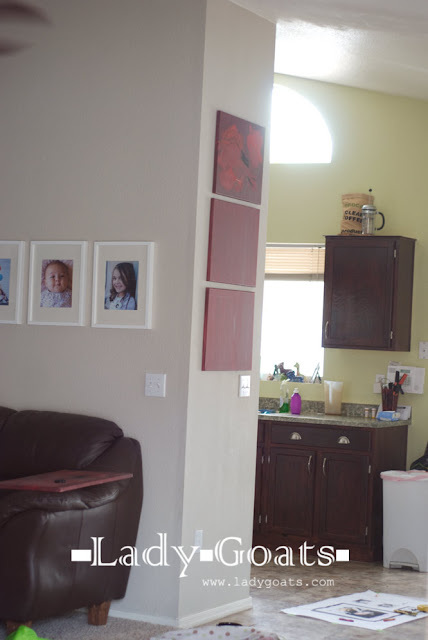 So, the decision (for now) is that I'm going to have three 16x20 canvases up there. I'm leaning toward a triptych, so that it's less busy (as opposed to having three totally different things there, such as photos or individual paintings). What's left to decide is.... WHAT kind of triptych!!!??? I actually really like it with the three!